Business Information Review has new editors! We are delighted to announce the appointment of the new editors of Business Information Review. They are Luke Tredinnick and Claire Laybats. Luke is a Senior Lecturer in Information Management at London Metropolitan University and Course Leader for the BSc Media & Communications. He has taught in the fields of information and knowledge management, and written numerous books and articles addressing intranet management, information management and digital technologies. Prior to joining the HE sector, he worked as librarian and intranet content manager for a financial services and accounting firm. Claire is Head of Information and Knowledge consultancy at TFPL. Claire has worked for TFPL for over ten years in the information and knowledge management field working in recruitment, then heading up training and events before moving into her current role in September 2013. She has been involved in and led key pieces of research into skills development in the information profession and has worked actively on consulting projects with clients in both the corporate and public sector nationally and internationally. Claire and Luke will be ‘official editors’ for the September 2015 issue onwards. However they are already working with us to ensure the handover of the journal is as smooth as possible. This entry was posted in Business Information Review, Sage Publishing on 7th April 2015 by BIR Journal. An additional 30 indexed titles this year brings the total number of SAGE titles indexed in the Social Science and Science Citation Indexes to 461. 102 of the titles are ranked in the top ten of their category. For more information see the original press release. This entry was posted in journal impact, publishing, Sage Publishing on 18th July 2013 by BIR Journal. Sage’s newly launched e-bookstore forms part of the publisher’s online social science platform Sage Knowledge. The content is discoverable via search engines at title and chapter level. Researchers can search and access over 2,500 titles including textbooks, monographs and handbooks. They can also save searches and create reading lists. Sage has made a number of flexible purchasing options available to libraries. This entry was posted in Sage Publishing on 22nd June 2012 by BIR Journal. 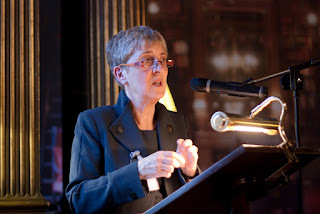 Lynne Brindley, the outgoing CEO of the British Library, addressed an audience of editors, authors and other interested parties at a SAGE reception held at the Reform Club on 26th April. Her speech reflected on the changing roles of publishers and academic and research librarians – and the relationships between them. A book or journal can now be created and accessed digitally and content is being liberated from physical space. Meanwhile, as the debate surrounding access continues, intellectual property law has still to catch up. The generation and dissemination of new knowledge is a critical activity and the different stakeholders must work together ensure success. Despite dramatic changes in the wider information landscape, Lynne believes that shared values endure. She called on all interested parties to focus on what they have in common and work together to reach creative solutions and design new business models. This entry was posted in libraries, publishing, Sage Publishing, The British Library on 17th May 2012 by BIR Journal. Sage’s entire online journal collection is now available in a mobile-optimised format. From now on, users accessing the journals via mobile devices (iPhones, smartphones and androids) will find themselves viewing content in a format designed specifically for mobile access. They will still, however, have access to the full text content of the current issue. More information available from Sage. This entry was posted in Sage Publishing on 6th February 2012 by BIR Journal. The SJO Global Free Trial runs until October 15th and provides free access to all Sage journals. This will require you to register here. You will then have access to content from 1999 to the present day, including Business Information Review, for the next few weeks. BIR’s September issue will be loaded shortly. This entry was posted in Business Information Review, Sage Publishing on 10th September 2010 by BIR Journal.